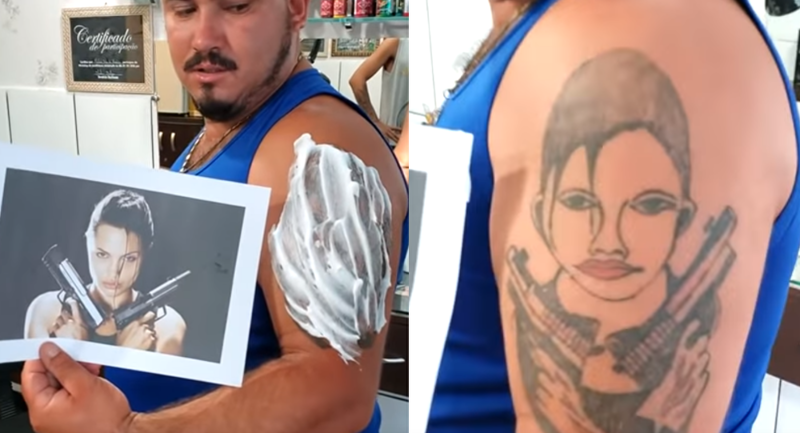 One Brazilian tattoo artist decided to have some fun with a customer who came in for a tattoo cover-up in a clip recorded Monday in Itajaí. The 30-second clip shows a customer left speechless and frozen after seeing the side-by-side of his "new" ink and a printout of "Tomb Raider's" Lara Croft for inspiration. According to the tattooist, the man actually came in to get the amateur ink covered up. Poking fun at the design, he decided to print out the original image and do a faux reveal before giving the man a fresh tattoo that he would be proud to show off. Hitting the slopes can get dangerous when they strike back!